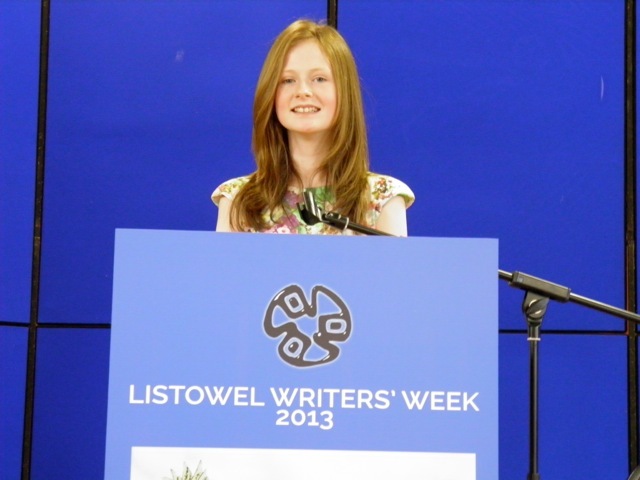 I am so proud of Hannah Rudden (aged twelve) who not only won first place in this year’s under twelve category in Listowel Writers’ Week Short Story competition for youth, she has also won the Dear Grace writing competition for the second year running and will be attending an awards ceremony in the Helix next autumn. 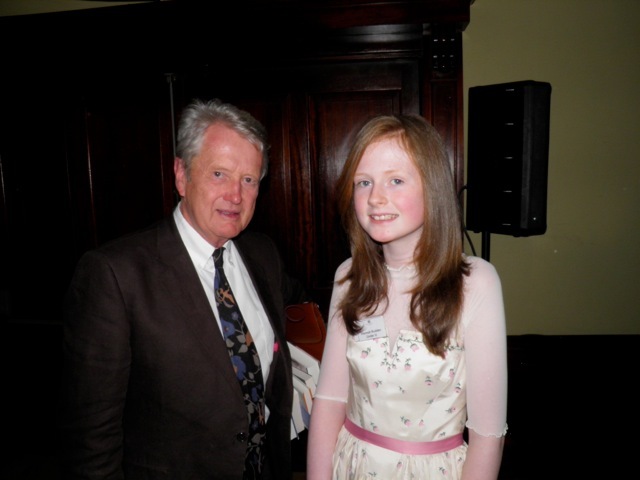 I have been teaching Hannah since she was eight years old, when she was already getting stories published in the Skerries News! Hannah is a beautiful writer and I have loved being part of her writing journey (and getting to know her lovely mum, Sharon!). 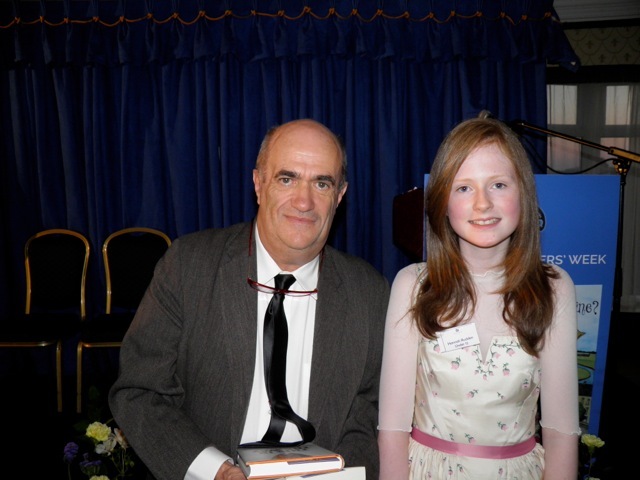 Here are some photos of Hannah at the awards ceremony in Listowel with Colm Tóibín and John Bowman.